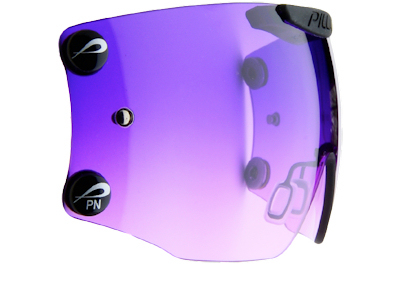 This lens offers consistent enhancement of the color spectrum while the bottom accelerates the perceptive value of light. The top of the lens has a transmittance of 22% with the bottom having a transmittance of 78%. A filter blend of Amber and Maze. Max Orange Filtration Technology accelerates the registration of target Orange throughout the transmittance curve from top to bottom: 30% at the top while the bottom of the lens provides up to 70%. A filter blend of Peach and Pink. 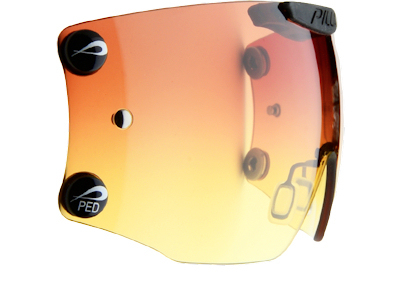 The lens on top reflects a 20% transmittance while the bottom reflects a transmittance of 68%. Fantastic for green backgrounds. A filter blend Plumb and light purple. The top of the lens uses a high-intensity lemon filtration and the bottom allows for a splash of light into the eye for enhanced depth of field in low light. The top of the lens has a 70% transmittance while the bottom has a 95% transmittance. 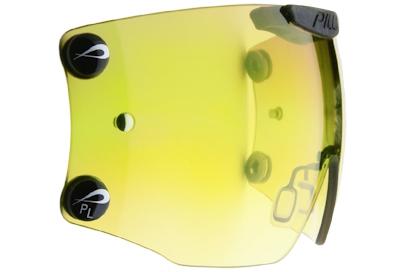 A filter blend of High Intensity lemon and pale yellow. 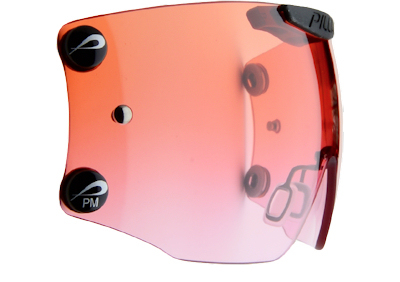 Progressive VIVX is a proprietary lens technology engineered by Pilla with lenses by Zeiss. 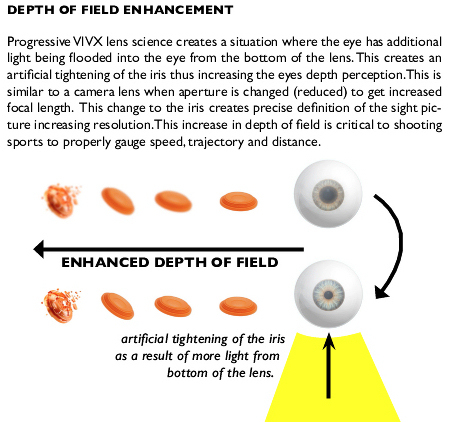 The lens science provides shooters with three distinct advantages: enhanced depth of field, variable color filtration, and “live” light management. This new lens science introduces variable color filtration utilizing multiple spectral color curves in the same lens. allowing for increased color saturation. The result is enhanced target registration, crisp vision at distance, and higher resolution sight ictures, all while providing the shooter the ability to change light transmittance to tune brightness immediately. 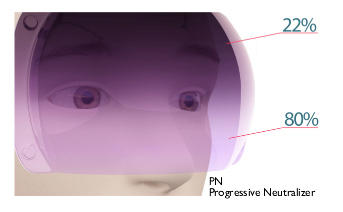 Progressive VIVX is currently available in 4 new lens technologies: Progressive Neutralizer “PN”, Progressive Max “PM”, Progressive Enhanced Definition “PED”, and Progressive Lemon “PL”.